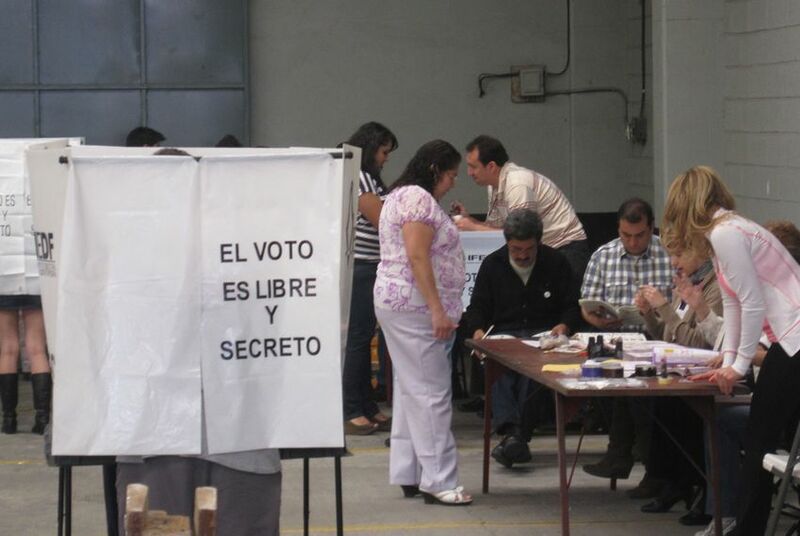 The voting is over, but the counting may not be, after Mexico's election Sunday. Candidate Andres Manuel López Obrador, who came in second in the presidential race, said Monday evening that he would challenge the results. Mexican presidential candidate Andres Manuel López Obrador, who came in second in Sunday’s election to the presumptive president-elect, Enrique Peña Nieto, said Monday evening that he would challenge the results of the outcome and ask for a recount. López Obrador accused Peña Nieto and his Institutional Revolutionary Party, or the PRI, of buying votes to manipulate the outcome of Sunday’s election. Initial exit polls showed Peña Nieto, 45, with about a 7 percent advantage over López Obrador, of the leftist progressive alliance, made up of the Party of the Democratic Revolution and the Labor Party. Results of the conteo rápido — the country’s first estimate of the election results — showed that Peña Nieto had received roughly 38 percent of the ballots cast, compared with López Obrador’s estimated 31 percent. “We can say they bought a million votes, at least,” the challenger said during a press conference Monday, according to Mexican media outlets. López Obrador lost to current president Felipe Calderon by a razor thin margin in 2006, which resulted in a weeks-long protest by his supporters in Mexico City. After Sunday’s initial results were announced, López Obrador said he would wait until the final vote count on Wednesday to decide whether to concede the election to Peña Nieto, the former governor of the state of Mexico. The announcement came after President Barack Obama called Peña Nieto to congratulate him on his victory and assure him the United States remained committed to a relationship that benefits both countries.